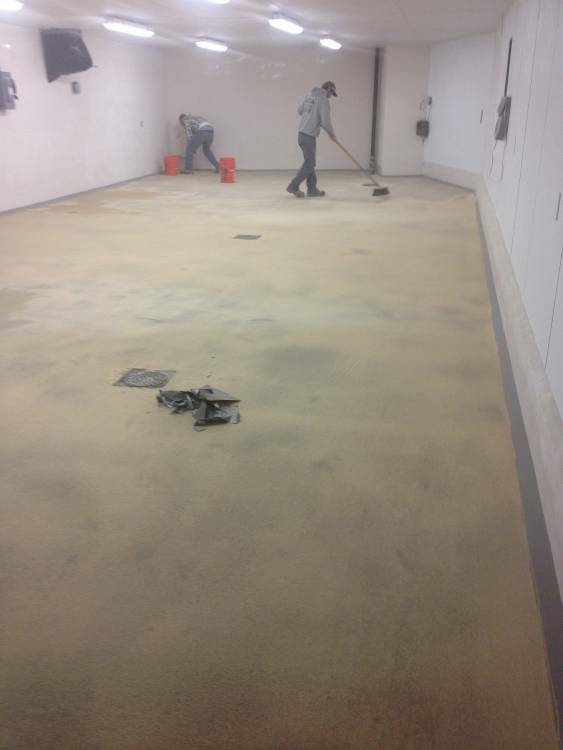 Pharmaceutical Lab Damaged floor area is repaired with urethane mortar. 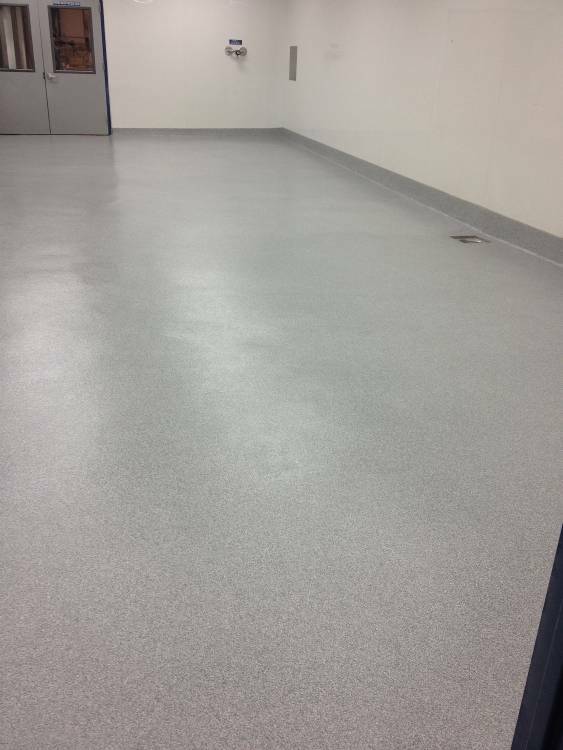 Pharmaceutical Lab Finished repair patches. 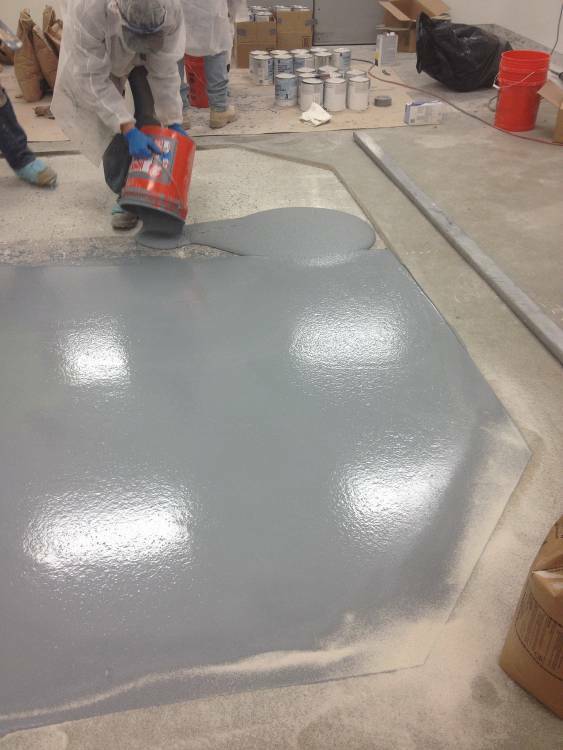 Pharmaceutical Lab Non-slip aggregate is broadcast into the coating. 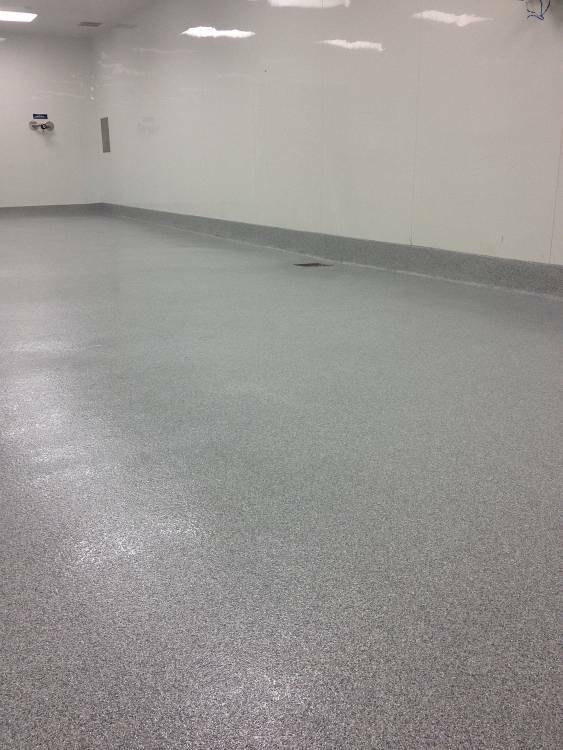 Pharmaceutical Lab Finished urethane mortar floor with drain sloping. 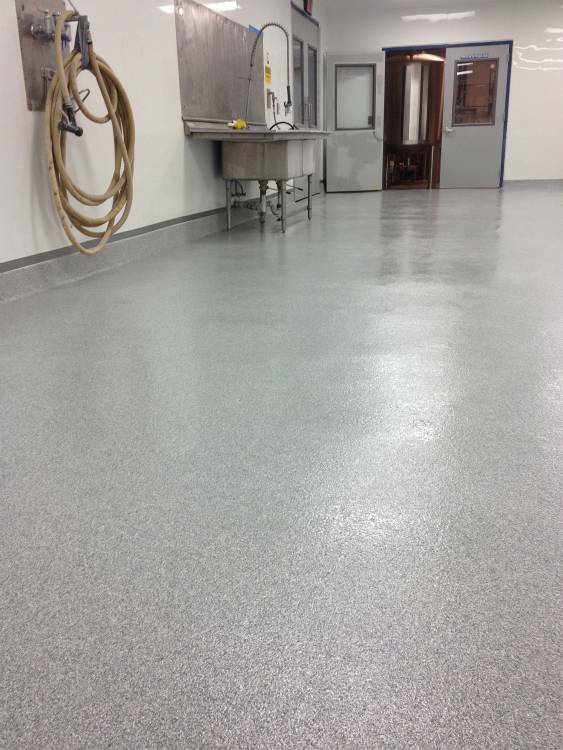 Pharmaceutical Lab Tough chemical resistant floor that can handle temperature fluctuations and repeated washdowns. 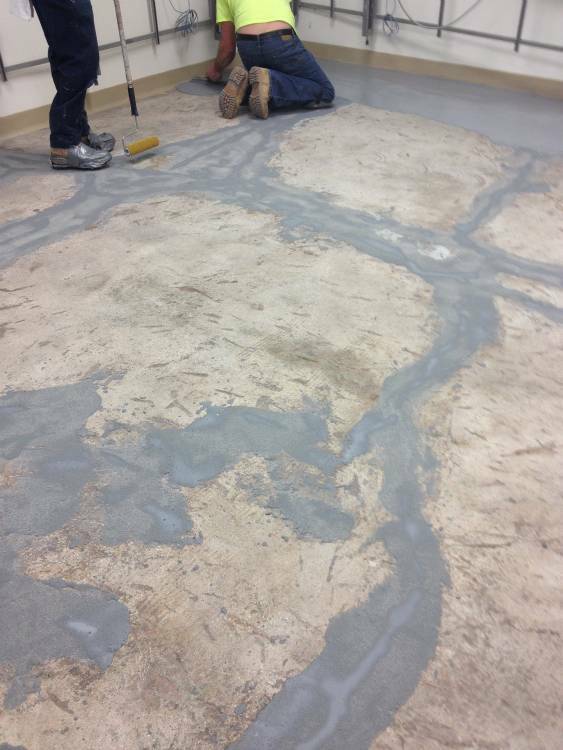 Pharmaceutical Lab No sign of the previous damage repair.